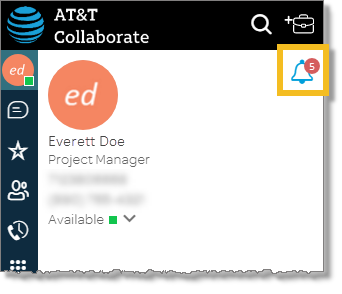 To keep you informed about activity in your workspaces, AT&T Collaborate can notify you by various means: In-app notifications, desktop notifications, email alerts, and mobile notifications. 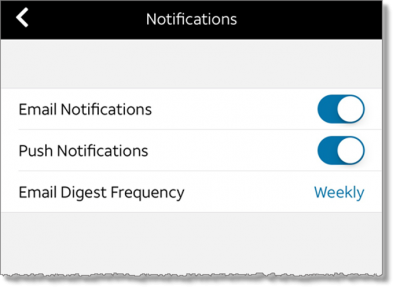 You can choose how you receive notifications. 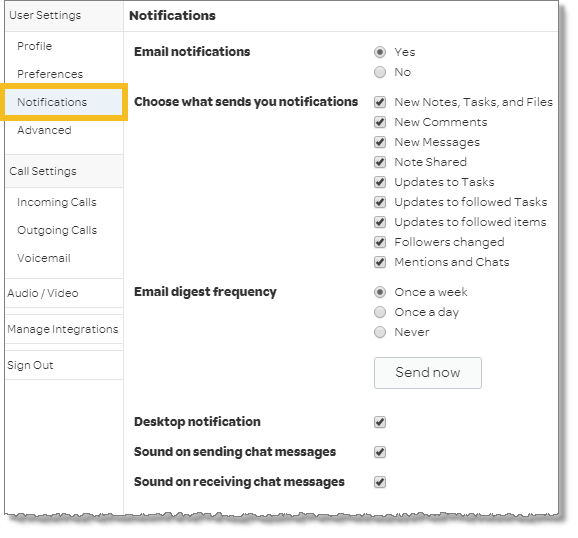 In the panel at the left, click the Settings icon . In the top-left panel, tap the menu icon .